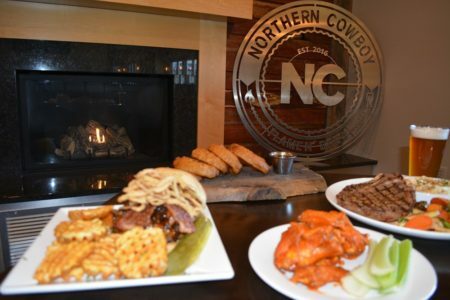 The Northern Cowboy Flame N' Brew (previously Iven's On The Bay) is located just minutes from Brainerd/Baxter on North Long Lake, one of the area's most prestigious lakes. 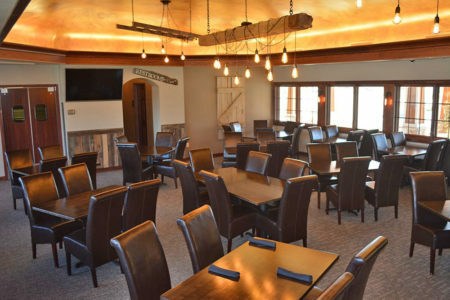 We offer casual dining with a unique twist and set in what we call a Modern Northern atmosphere. Not only is our food be fresh and exciting, but we also offer ever changing, year-round promotions and one-of-a-kind activities. Everyone knows what a cowboy is. It's that rough and tough guy we see in old western movies, riding horses across the dry plains, eating beans from the can by a campfire, shaving his face with a cut-throat razor and drinking shots of whiskey. Even today, we all have a little bit of a cowboy in us; we just show it in different, more modern ways. Instead of riding horses, we ride things with horsepower like motorcycles, snowmobiles, and personal watercraft. Instead of eating beans from a can by the campfire, we eat Buffalo wings as hot as we can stand. Instead of shaving with a cut-throat razor, we use beard trimmers to look as cool as we can. Instead of spending the night drinking whiskey all night, we ask the bartender to make their best Cosmopolitan.